First up, this isn’t another post telling you that ’email list building’ is the most important thing you can do for your business. A huge list won’t automatically make everyone buy from you, or rave about you, or refer you to all their friends. I’ve seen people sell more to a list of 1,000 people than some who try to sell to 5,000. And the difference here is, the person with the list of 1,000 has a list of buyers. The other doesn’t. Email marketing isn’t just about increasing the numbers, it’s about offering consistent value to your subscribers, creating trust, growing a relationship, making them ‘want’ to buy from you. That’s the golden ticket. But getting them ON your list is the start of that important relationship. There are various ways to move people to your list, so I’ve pulled together a list of ideas for you to try. I’m starting out with this one because it’s by far my favourite tip. Create a downloadable “add-on” to your blog posts, that readers can access in exchange for an email address. This is less of a PDF version of that blog post, and more of a tool to amplify the value you’re offering. And remember, the content upgrade isn’t restricted to blog posts. Those handy worksheets, swipe files and checklists can go alongside your latest podcast episode, or video content too. Scroll down to the bottom of this post to see me practice what I preach. Sign off the smart way. Think about all of those people you email that aren’t on your list. These could be the people you’ve been referred to. These could be the people who’ve found you at an in-person event, or through the contact form on your website. How can you encourage them onto your list in a sleaze-free way? Create an email signature with a hyperlinked call-to-action, sending readers to your main opt-in page. This way, every time you land in someone’s inbox, you have another chance to get them signed up. Think of as many creative ways to promote your email list as you can – and take advantage of all the space you have online. One page that slips everyone’s mind is the lowly 404 page – that error page that pops up every time someone clicks on a broken link. Use that valuable real estate to redirect readers back to your opt-in page. Use your own digital channels to celebrate client success stories. Each of your social media channels allow you to have a bio, and to add a link to that bio. Create a really bespoke user experience by using those links to direct followers to unique landing pages, instead of sending everyone back to a generic homepage. This can include a free downloadable created specifically for that segment of your audience, to increase your chances of securing a sign-up. Challenges are a super-duper fantastic way to build your community and get them to actually engage – especially if you offer a group component. I find 5 day challenges to be particularly effective – it’s long enough to see some very real results, but not so long that interest dwindles. 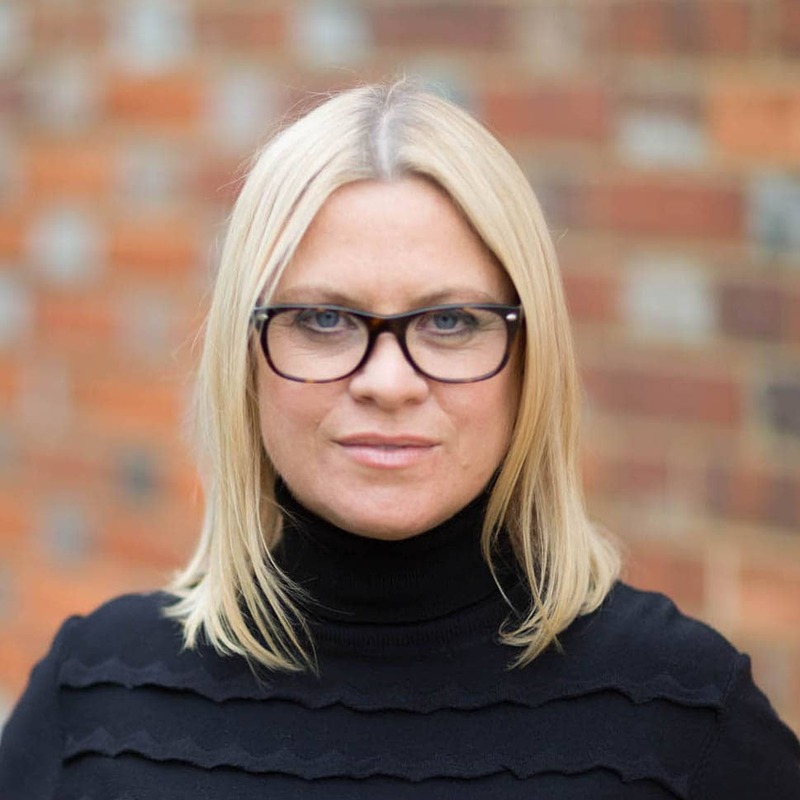 Shameless plug time – from 9th – 13th of January I’m running my own 5 day challenge over in the Simply Smart Business Facebook community. We’ll be delving deep into my 90 Day Planner Systems, and helping you create and implement killer goals for your business. Join us! I’ve already briefly mentioned social proof, but it’s worth another shout out. Readers will start to really believe you’re someone worth listening to when they see all your awards, press mentions, and testimonials from raving fans, so display them with pride. You can also knock up some snazzy visual testimonials with a tool like Canva, to share across social. So those were just 7 list-building tips to helps make sure the right people are receiving your emails. But there’s more. 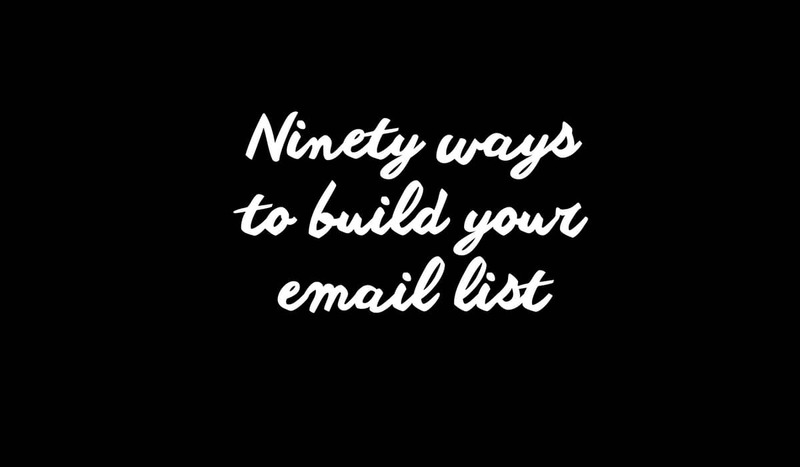 In fact there’s another 83 list-building tips for you to get your hands on. Yes, you read that right. EIGHTY THREE TIPS! Hit the pic below to sign up and they’ll be with you faster than a whippet. P.S. In case you missed it, that bit up there is the Content Upgrade. Good, right?